After a year that felt like five, filled with chaos and controversy, record-breaking highs and soul-crushing lows, here are the 10 best movies of 2018. Even at a time in my life marked by uncertainty and skepticism about the future — both my own and the collective one we all share — I remain enamored with the magical feeling I get while watching a really great movie. During difficult times like these, movies offer a door through which to escape and a mirror to better reflect and understand the world I’m in. With this in mind, I frequently quibble over the purpose of year-end lists. They’re fun, sure, but they’re also an extraordinarily fickle and rather vain undertaking that ultimately feels more about self-promotion than it is about the movies themselves. Yet, here I am. 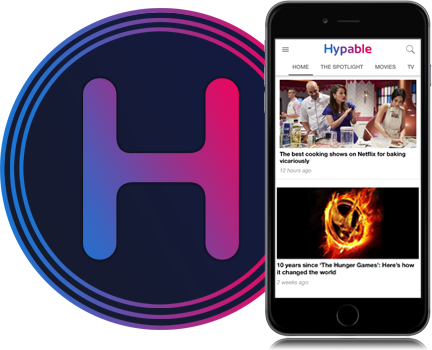 The flip slide of year-end lists is that they present an opportunity for movie fans to champion those new works of art they really loved while also giving less frequent movie-goers a tool to decide what films this year really stood out from the rest. Year-end lists are also an opportunity for reflection, which sounds corny and it absolutely is, but it’s the truth. For those that dedicate a lot of time to movies — not just to watching them, but also writing, thinking, discussing, and arguing about them — year-end lists provide a natural point of closure to showcase the movies we loved before moving on to the new year. I use a fairly broad definition when it comes to defining the “best” movies I saw. In 2018, I watched approximately 120 new releases. I liked a lot, I loathed a couple, and there were the select few that stuck out to me from the rest. These are the ones I dreamt about, the ones I needed to see again as soon as I left the theater, the ones that stuck with me through this year from hell. With that in mind, here are my picks for the 10 best movies of 2018. Before I launch into the top 10, I wanted to share a few honorable mentions. For whatever reason, these movies didn’t make the top of the list, but they are absolutely worth seeing. Films from early this year including Red Sparrow, Lean on Pete, Isle of Dogs, and Annihilation were all impressive to me in different ways and were among my favorites from the first half of the year. Bradley Cooper and Lady Gaga’s A Star Is Born is one of my favorites of the year, but was a bit too flawed to make it into the top 10. 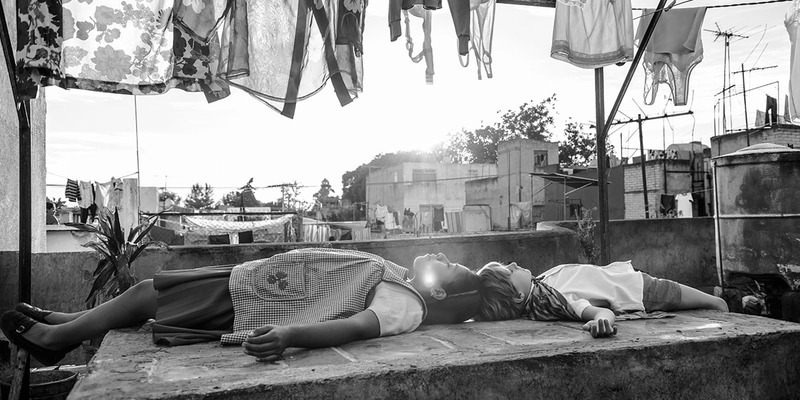 Other sure-fire awards contenders, including Roma, If Beale Street Could Talk, and Cold War, were also some of my favorites, but they haven’t stuck in my mind the way others did. I also saw movies that won’t even be released until next year. This is where the really fickle side to end of year lists starts to rear its ugly head. There were movies that played at film festivals this year that won’t be distributed theatrically until 2019; it seems unfair to include these movies since so many people didn’t have access to them, but I hate to leave them off as well. It’s especially maddening when those movies would have made my top 10 list! Movies like László Nemes’ Sunset, David Robert Mitchell’s Under the Silver Lake, and Ryusuke Hamaguchi’s Asako I & II. One of the year’s best surprises, Support the Girls is a sublime slice-of-life film that deftly handles its portrayal of working class women with a delightfully warm comedic style. Featuring a career best performance from Regina Hall, Support the Girls offers a rich and authentic portrayal of real people with real problems wearing their hearts on their sleeves as they try to do right by one another. It’s easily one of the 10 best movies of 2018. Tamara Jenkins’ Private Life got the short end of the stick this year. If the timing and distribution of the film had been different, it would have been a shoe-in for at least two Oscar nominations, including Best Screenplay and Best Actress (Kathryn Hahn’s performance is a revelation!). Private Life begins as a film about a couple desperately trying to get pregnant, but spirals into a much more profound rumination on how we reconcile the life we have with the one we want. 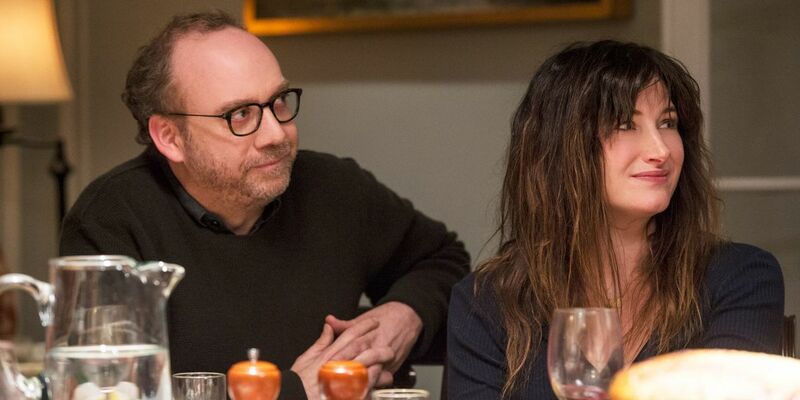 Led by incredible performances from Kathryn Hahn and Paul Giamatti with a script that could cut diamonds, Private Life is hands down one of the 10 best movies from 2018. Japanese filmmaker Hirokazu Kore-eda has been churning out incredible films for over two decades, and with Shoplifters, Kore-eda proves he’s only getting better with age. The film is a heartwarming and heartbreaking story about family. Kore-eda’s films have always focused on the intimacy and obstacles families face, but Shoplifters took that one step forward, interrogating the very conventions that define what it means to be a family. I’ll readily admit to my bias towards the works of Joel and Ethan Coen. They are among my favorite working directors, consistently delivering movies that are vastly different from what anyone else is doing today. 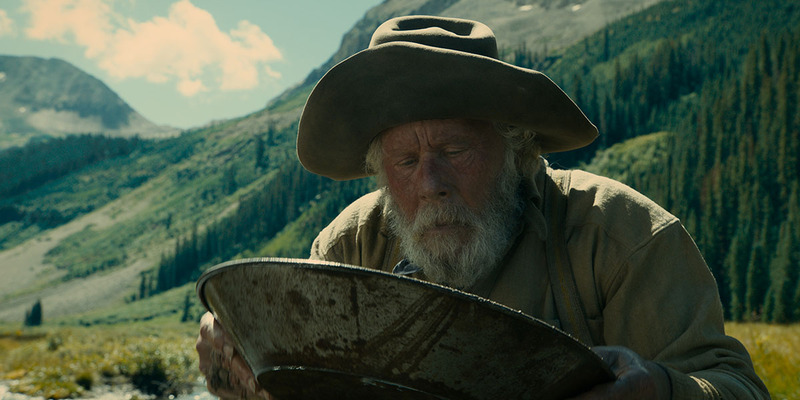 The Ballad of Buster Scruggs is no exception. The film is an anthology of six short films that take place in the Old West in the post-Civil War era. The Coen’s unique blend of farcical comedy, shocking violence, and insightful critique of the human condition make The Ballad of Buster Scruggs a bizarre, intriguing, and surprisingly poignant film. Luca Guadagnino’s remake of Suspiria delivered on its promise to be the biggest and best horror movie of the year. The ambition and technical skill on display in the film is impressive on its own, but to see those things working to bring a story centered in a German dance academy about a coven of witches struggling with social and political upheaval is even more fascinating. With a stellar cast, terrifying horror sequences, and an impressive score from Thom Yorke, Suspiria is a gruesome nightmare that also happens to be one of the 10 best movies of 2018. 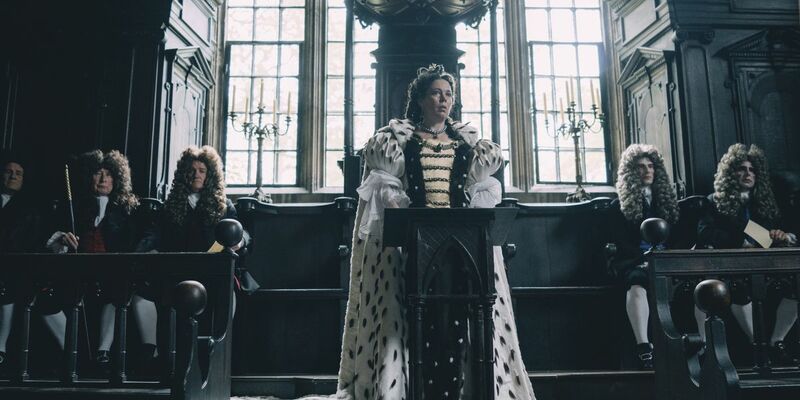 Yorgos Lanthimos’ The Favourite starring Rachel Weisz, Olivia Colman, and Emma Stone proved that the traditional costume drama still has a few tricks up its sleeve. This wicked tale of love and deceit, loyalty and betrayal, is a decadent cinematic feast for the ages; overflowing with larger than life performances, cutting one-liners, compelling romance, and political intrigue, The Favourite is destined to be a favorite you can revisit year after year. No movie this year captured what it feels like to be alive at this very moment better than Paul Schrader’s First Reformed. Led by a stunning performance from Ethan Hawke, the film is a deeply unsettling look into the failure of modernity, the powerlessness of the individual, and existential conflict buried deep within all of us. 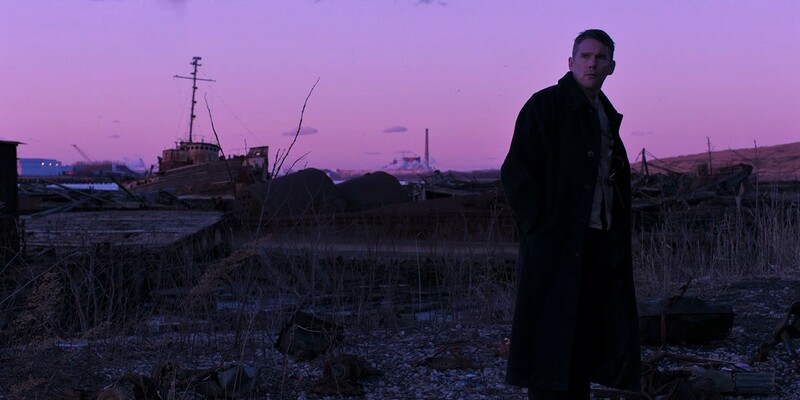 Paul Schrader’s career is full of toxic male antiheroes, but First Reformed gives this story a face lift by introducing a compelling religious conflict. This helps soften Schrader’s edge while adding unexpected depth to the film in a way that makes it even more soul-crushing. It’s a masterful work and one of the 10 best movies from 2018. I’ve been a fan of director Alice Rohrwacher since I saw her film The Wonders. I was struck by how poetically she captures the divide between the working and ruling classes, rural communities and city dwellers, by telling stories that feel both intensely real and vaguely magical. 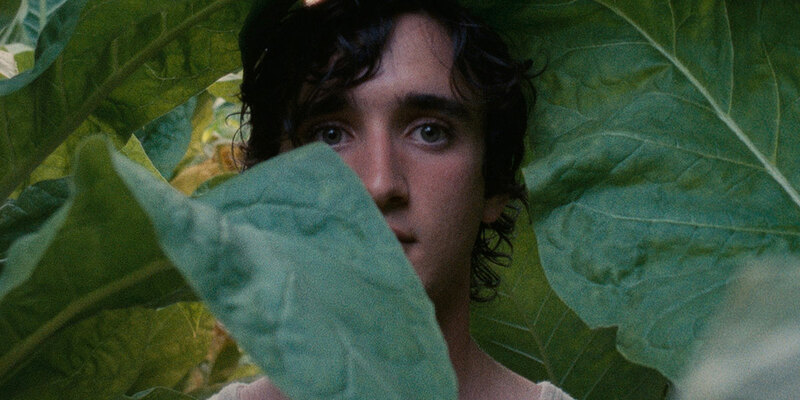 What a delight it is to see her build upon all of that in her latest film, Happy as Lazzaro. The movie at an estate in rural Italy, charting the friendship between a humble and well-intentioned farmworker named Lazzaro and the son of the wealthy estate owner named Tancredi. I cannot name another movie this year that transported me through time and feelings like this one. It’s a must-see. 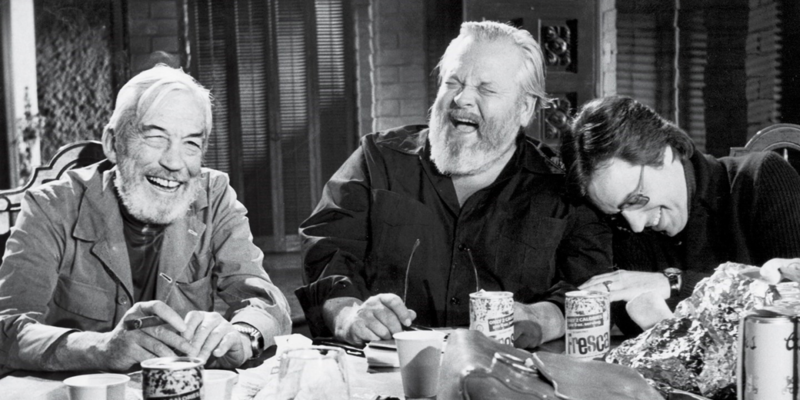 Orson Welles’ final film The Other Side of the Wind began development almost 50 years ago in 1970. Unfortunately, legal and financial complications kept the film from being completed, let alone released. Thanks to the efforts of many, principally Peter Bogdanovich, the film was finally edited and completed this year. Somehow, even after all this time, the film is still remarkably innovative, powerfully told, and shockingly prescient. Lee Chang-dong’s Burning is an enigma; a cerebral puzzle that toys with genre, an affecting tale of alienation and obsession, and a meticulously layered mystery that provides all the answers with enough evidence to refute them. The story encompasses the personal and political, romance and terror, family and friendship. There is no understating the devastating power and beauty of this movie. It’s a testament to Lee Chang-dong’s mastery of cinema and will remain a stunning achievement long after the year is over. It tops my list of the 10 best movies of 2018.